Ride go-karts at insane speeds, take part in races and challenges with cash prizes, and enjoy kart ride specials throughout the week! 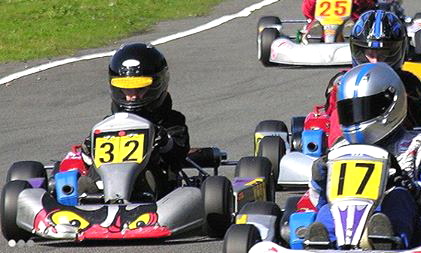 Orlando Kart Center is an outdoor kart track with karts that go up to 45 miles per hour. It's open to all ages starting at 60 inches tall, and no license is required. The course is challenging for riders, with sharp curbs and bumps to navigate. Orlando Kart Center also hosts organized races for both drivers who have their own karts and with the rentals karts. Twice a month they hold a 2 hour endurance race with the rental fleet, and on Wednesday, they have a money race with a cash prize. Monday through Friday from 11 a.m. to 2 p.m. when you buy a 10 min. race, the second one will be half off. You must buy the package to get the discount. Total: $36.00 + tax. Wednesday, from 11 a.m. to 9 p.m. buy 2 and get 1 free. Total of 3 races for $ 46.00 + tax. Insurance and equipment fee already included. Thursday, from 5 p.m. to 9 p.m. Bring your student ID, buy one race at the regular price, and get the rest for $10.00 each. Races must be used on the same day. Orlando Kart Center also has story and garage for kart owners. It's a great location for a group or corporate event, with special packages catered to your work outting.